Do you have a mole problem in your yard? Are you looking to get help with removing moles from your front yard in Beaverton, Or? You have found the right place! We handle all mole, vole, and gopher control problems in Beaverton. It does not matter if it is a small residential job or a large commercial job we can solve them all. We are professional mole, gopher, and vole removal specialists. We will never sell you anything you do not need and we offer affordable prices along with customized removal plans for your job. When you choose us to solve your problem you will have the e of mind peace of mind knowing that you do not have to worry about the problem anymore. We understand dealing with these problems can be stressful, frustrating, and very annoying. We have years of experience solving these problems and dont want you to stress about it anymore. We work around your schedule and in almost all cases you do not have to be home when we setup or check our traps in your yard. 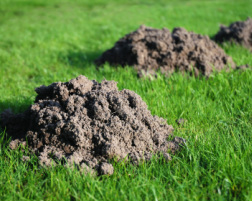 Beaverton mole trapping is the best method for solving a pest mole problem in your yard. When you have dirt mounds that are killing your grass it can be extremely annoying. We are able to stop the damage and remove the nuisance yard moles. We have been handle mole pest control problems for over 10 years and have different methods for each problem. When we inspect your property we will setup traps that will help stop the damage as fast as possible. 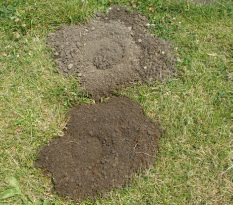 Gopher control in Beaverton, Oregon can often times also need mole control or even vole removal. This is due to the fact the they all like to live in the same type of areas. This area is moist soft ground, meaning healthy plants, grubs, and worms throughout the area. Gopher's can do alot of garden damage because they mainly eat plants. They can go through your garden very quickly if you do not control the population when you first notice you have a problem. We take all steps possible to get in and remove all gophers as quickly as possible. Vole damage in Beaverton is more common than most people think. Voles can completely destroy a yard or field unless they are removed quickly. Voles reproduce at such a quick rate and the damage only increase when the population does. Vole's create small holes in the grass that do not have much dirt around the entrance. These holes can be very small up to the size of a pool ball. You can tell the activity level of these areas by the amount of grass eaten down around the hole. For Beaverton Mole, Gopher, and Vole Professional's Contact Us Today!